Thortful are a website that sell loads of wonderful greeting cards. They literally have a card for everything and all of the cards are designed by designers, illustrators and photographers so they are unique and usually wont be found on the high street. They have 1000's of cards to choose from and you can have them delivered to you or to the person who is receiving the card. Some of the cards are personalisable so they are really unique! They have rude cards, cards for every occasion. They have a categories section so if your looking for a cat card or a gin card they are super easy to find. They also have a search bar which makes finding the perfect card super super easy. They have a huge selection of Thank you cards, which are perfect for the end of the school term. 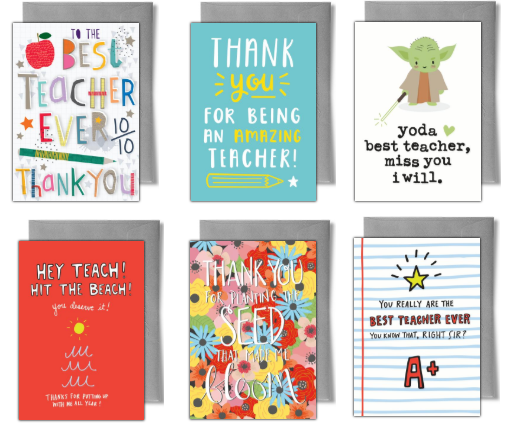 Head on over to the site now to browse some lovely Thank you teacher cards. 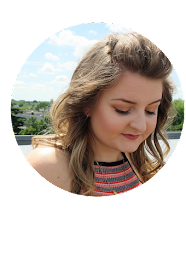 I've included a few of my faves below! They also have a selection of card gifts. I've chosen a notebook card, you can choose any card design and it goes on the front of the notebook and then you can write your message inside. This is a lovely gift idea for someone whos just qualified as a teacher and will need a nice new notebook, they will always have that lovely card and message to look at! Maybe someone whos a receptionist? The message inside can cheer them up on a Monday morning! What about an anniversary card, it can be that 'paper' present for your first wedding anniversary! It's valid until the end of the year.